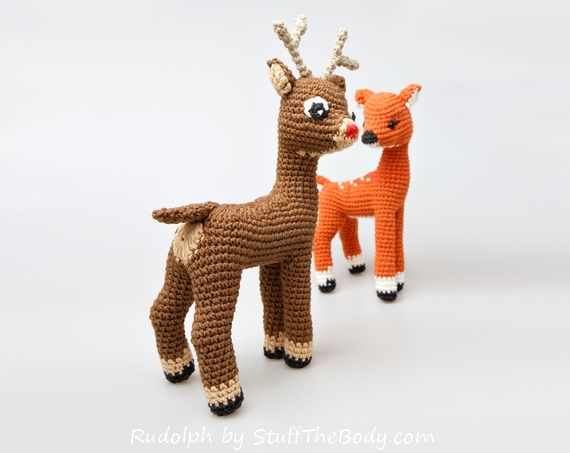 Today I would like to show you how to make your own seamless Rudolph The Red-Nosed Reindeer. I think that he will make a great Chrismas decoration this season! 1. 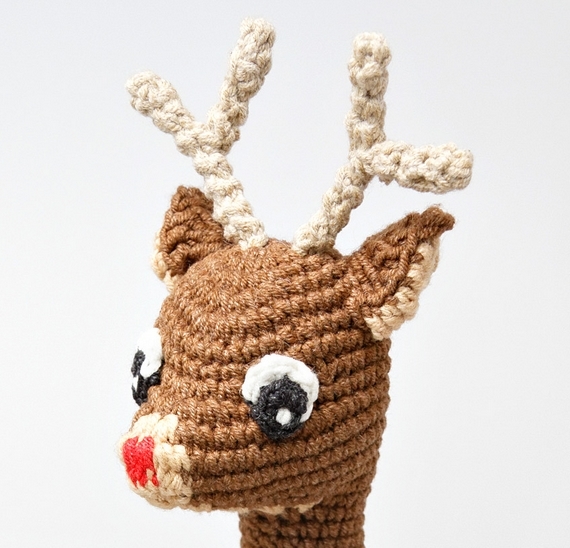 This is not a separate pattern, but a pattern modification, so you will need my Andy The Fawn Amigurumi Pattern, which can be purchased on Etsy, Ravelry or Craftsy. 2. Sport yarn in brown, beige, white, black and red (I use YarnArt Jeans). 3. Crochet hook (I use 1.75 steel hook, it is American 4). 1. 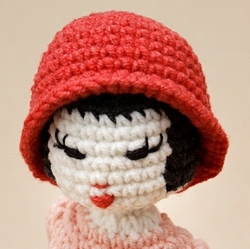 Use brown yarn instead of orange (read the “Or” symbol as “change to brown”). 2. 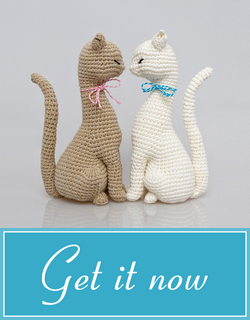 Use beige yarn instead of white (read the “Wh” symbol as “change to beige”). 4. Do not make eyes yet. 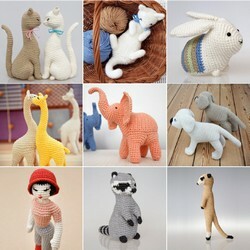 Fasten off with long thread. 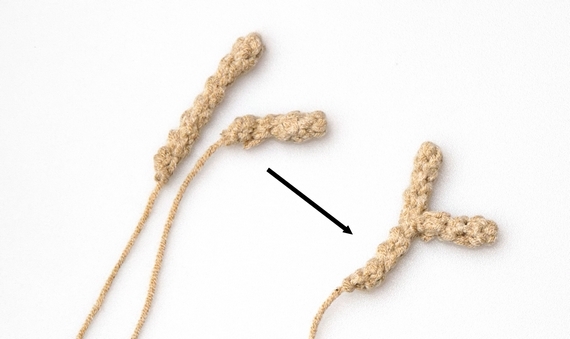 Sew the shorter piece to the longer piece as shown in the picture. Repeat with the remaing two pieces. Make two eyes following the pattern below. Start with black thread. Fasten off leaving long black and white ends. You can also tide together and then trim the short beginnings of white and black thread. Use the white thread to embroider a white highlight in the middle of the black part of the eye. Sew both eyes to the head as shown in the picture. Use the black thread to sew the black part of the eye and the white thread to sew the white part. Sew antlers to the head. Congratulations! 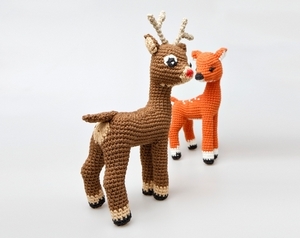 You have made your Rudolph! 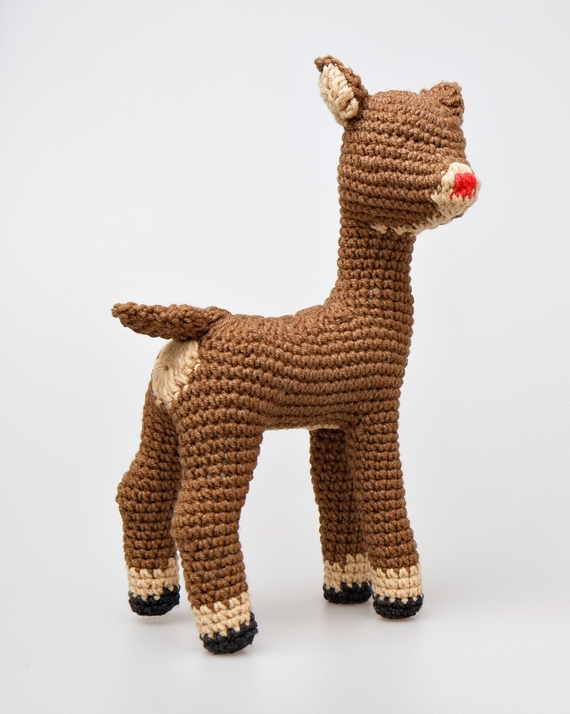 I would love to see your Rudolph so don’t forget to link to your work in the comment!